"Waterproofing basements in Northern Michigan’s cold and often wet climate is not easy. Maybe that’s why our competitors rarely last more than a year. To provide a cost effective waterproofing service in an area where the basement walls are often damp or frosty takes specialized equipment and products. Heated storage, heated spray equipment, and a product that sticks and is absorbed into the pores of damp masonry surfaces is a necessity! For us that product is HouseGuard! Over the years we have tried numerous fluid applied waterproofing products. Most have had too high of solvent content to be effective in our climate. Remember the old saying “ oil and water don’t mix”. Well, it is hard to get good adhesion on frosty damp walls with an oil based waterproofing mix. 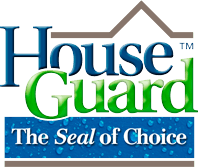 We use HouseGuard because it works! Our customers use us because they end up with dry basements at a cost effective price. We also appreciate the way HouseGuard has treated us over the years as we Worked together to solve common problems!" Ken Sieradski Demand Waterproofing of Mi. Inc.
After nearly ten years of applying a competing material, we were searching for an alternate waterproofing system with improved characteristics, particularly greater membrane performance. Our research led us to the HouseGuard line, and after product testing and inspection of the manufacturing facilities, we made the switch in March, 2015. We have not looked back! With solid market acceptance and our continuing high level of service, our customers are pleased. Those who left initially are now returning! Significantly, since starting the HouseGuard system in March, we have not had a single call back on a leaking poured wall, something which typically had occurred with our prior system. "We have been spraying cutback emulsion as a damproofing membrane for many years and was doubtful and resistant about working with a water based membranes, mostly because I heard all the quirks about it. Well we tested TruDamp from HouseGuard, and found that it was nothing like what I heard said about water-based membranes. We made the move to TruDamp in 2012 and now I love this product! It stays put on the wall, not on the footer and really looks great also. We’re very happy with the product."